The world’s 7th strongest earthquake has destroyed Japan’s recovery gains. The quake occurred at the time when the world’s third largest economy (after US, China in that order) was doing good in recovery as the final quarter of their last year was not so good. The yen fell by 0.3 percent against the US dollar at an instant, whereas Nikkei (Tokyo) stock fell down nearly by 5 percent at the other instant. 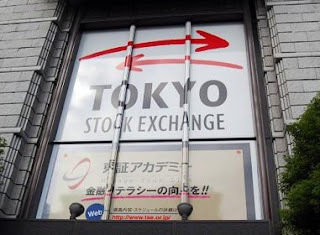 The effect of Japanese market was seen on European and other Asian markets as well. Bombay Stock Exchange or Sensex (India) plunged by 0.84%. Some of the major re insurers like Swiss Re, Hannover Re and Munich Re were all down more than 4 percent. Japan is a small country of islands in the far east corner of the world. One of the major powers in the history was damaged totally by the American nuclear bombs in 1945, but even after that today its economy makes it a superpower, the third largest economy. Japan is a strong automobile, electronics and related technology producer. It’s most of the economy is dependent on such trade. Toyota and Nissan said they were halting production at all of their 20 factories. Two of Honda’s three plants remain closed. Most of Japan’s energy requirement is met by resource imports. Shutting down of industries like nuclear power and oil refineries has temporarily left Tokyo powerless. “We still don’t know the full scale of the damage, but considering what happened after the earthquake in Kobe (A major Earthquake in Japan in 1995), this will certainly lead the government to compile an emergency budget. We can expect consumption to fall. This could temporarily pull down gross domestic product,” Yamamoto said. “The government would have to sell more bonds, but this is an emergency, so this can’t be avoided”. An estimated 2 million homes are without power and about 1.4 million do not have running water. International Response: United Nations, International Atomic Energy Agency, United States, United Kingdom, India, China, Canada, Germany has expressed their interest in helping Japan and the people of Japan who are affected by the earthquake and tsunami.